API Gateway solutions have solved significant portion of the puzzle for a seamless integration between enterprises, developers & devices. Still enterprises spends huge amount of time and money in developing services that API gateways helps to quickly enable them. 1. Why does building service takes more time ? 2. Isn't it a subset or a super set of a data model / record set ? 1. 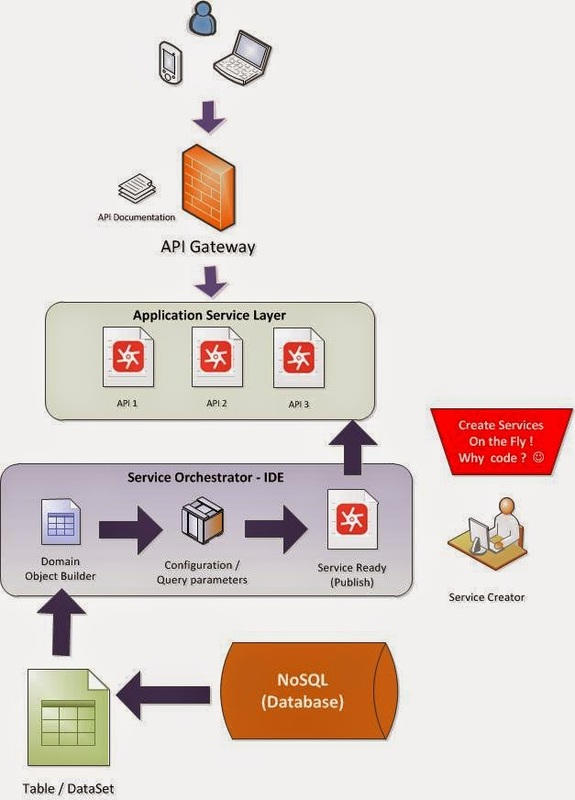 Dynamically building services in a configuration driven manner. 2. In an era of schema-less database(few years back people thought it's foolish to even say these words), I am talking about a schema-less service development. 3. Traditionally reporting tools have done this even with relational constraint of RDBS, why can't this be possible in a schema-less world ? If above is true, all I am talking about is a cool way to map services to one or more tables(record set) and Vice verse. No rocket science isn't it ? Are you thinking something inline of SlashDB? True, slashdb is interesting thanks for sharing it.